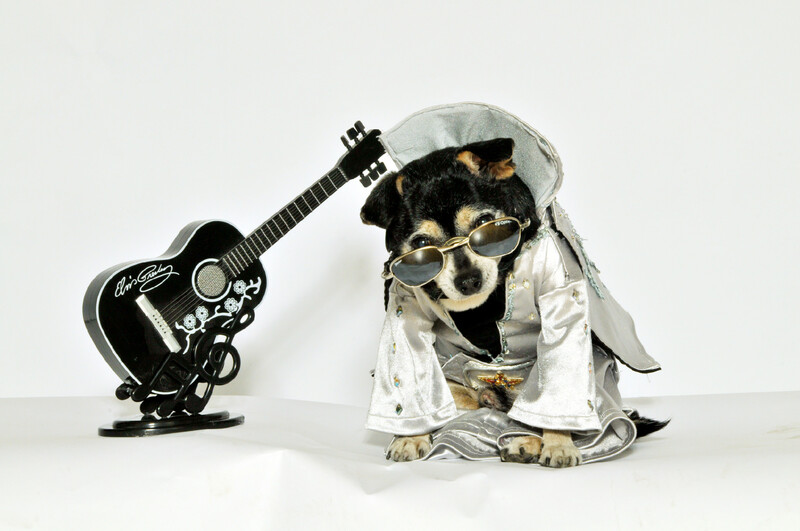 Outfit of The King Elvis Presley for my dog Bandit Rubio. Designed and made by Anthony Rubio. This creation was a big hit and landed on the cover of the book Hollywoof. 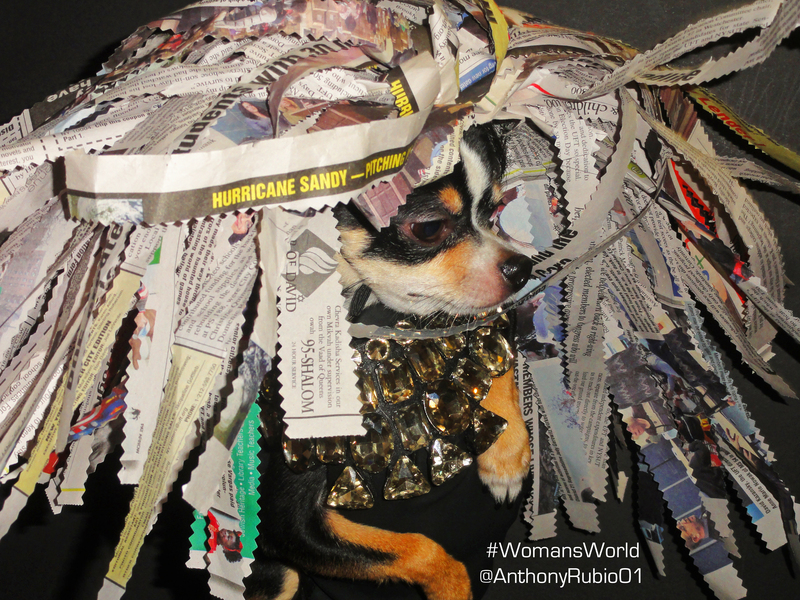 For more photos of the Anthony Rubio’s The King creation, click here. 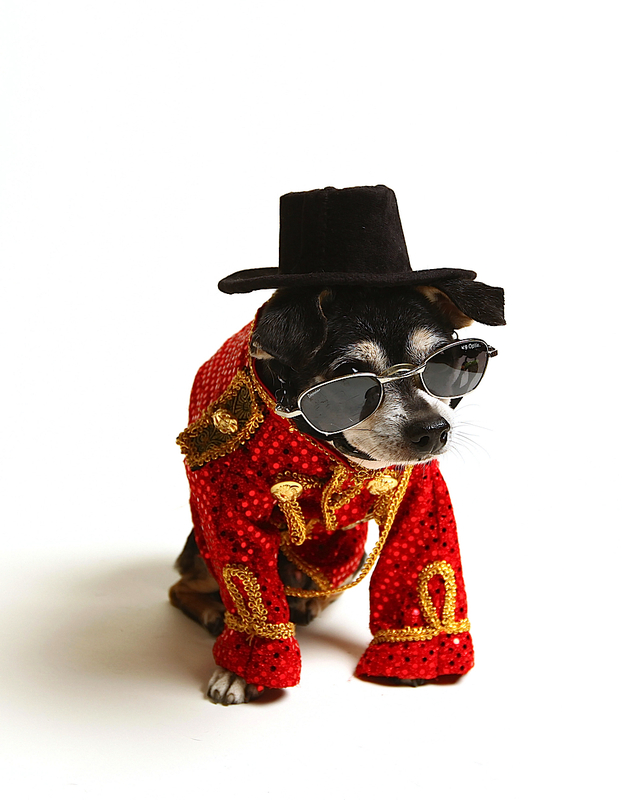 Inspired by The King of Pop Michael Jackson for my dog Bandit Rubio. Jacket and hat designed and made by Anthony Rubio. This creation was a viral hit and landed on the front page on The Daily Mail UK. Photo by James Ambler for Barcroft Media. For more photos of the Anthony Rubio’s The King of Pop creation, click here. 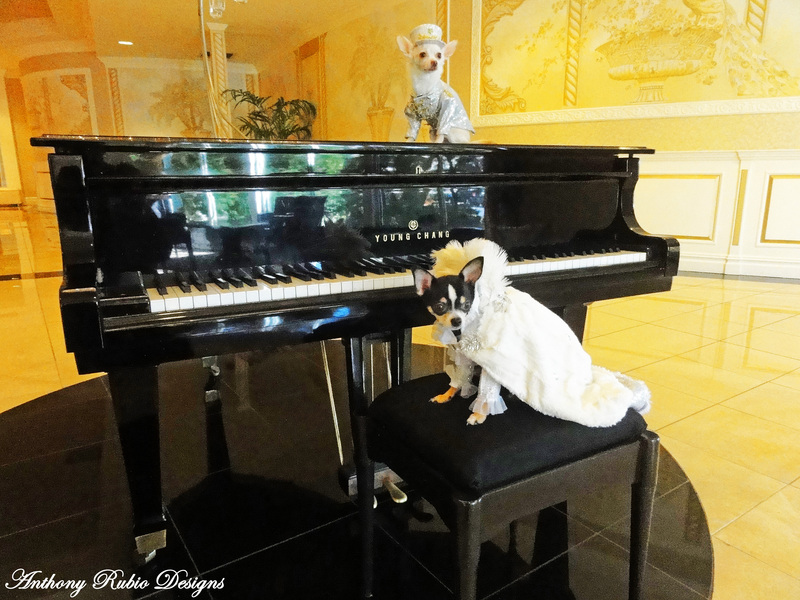 This year for Halloween, my inspiration was the film “Behind The Candelabra” the story of Liberace. 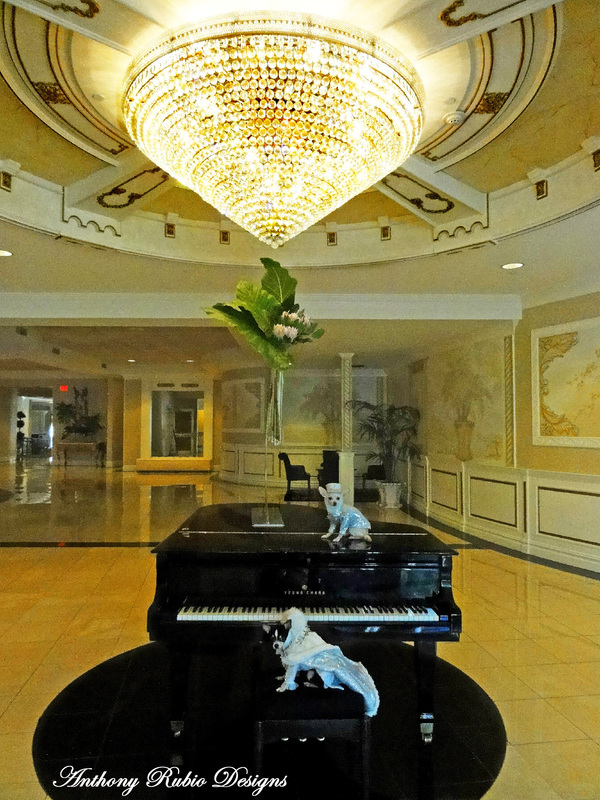 Here are Bogie is Liberace (played by Michael Douglas) and Kimba as Scott Thorson (played by Matt Damon). 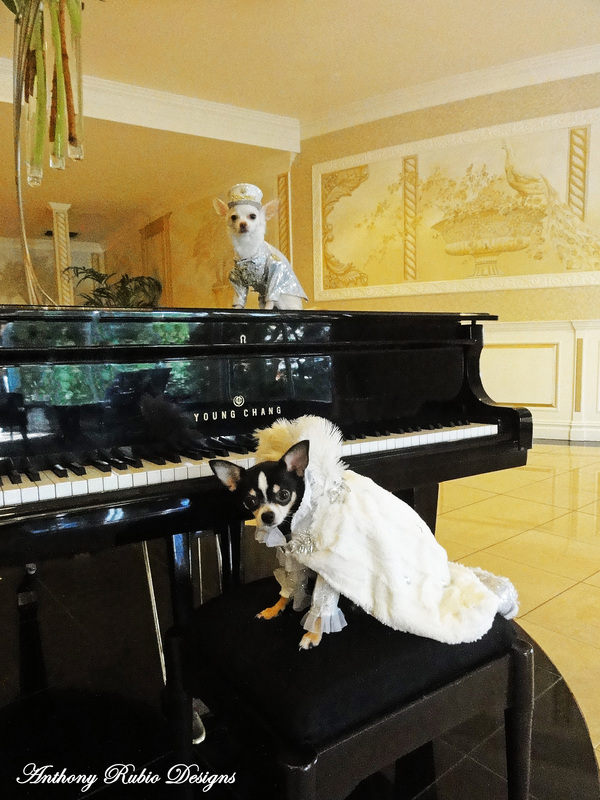 Canine Models: Bogie & Kimba (Chihuahuas). 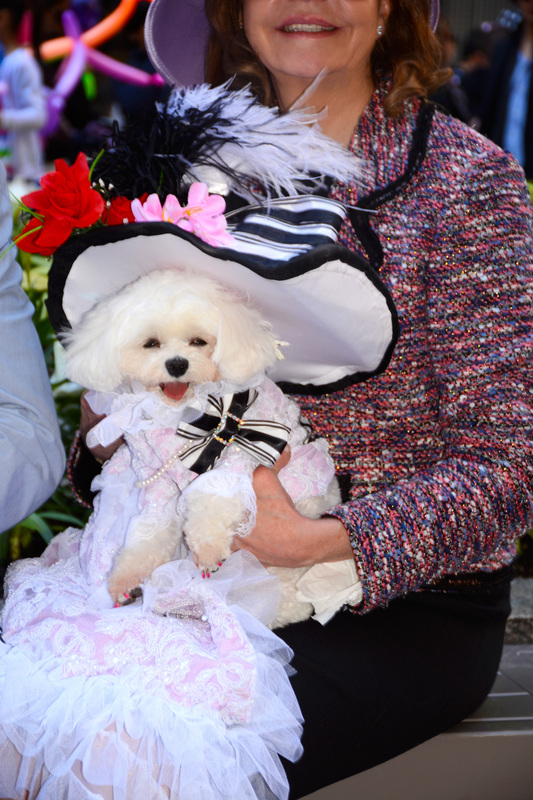 Bella Mia attended The Easter Parade in New York City wearing her Astor Dress inspired by the one worn by Hollywood legend Audrey Hepburn in the film “My Fair Lady”. Hat and dress by Pet Courtier Anthony Rubio for Bandit Rubio Designs.